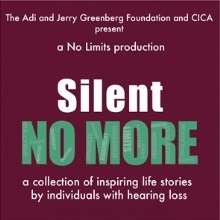 No Limits presents "Silent NO MORE"
After a sold-out production at Carnegie Hall, John F. Kennedy Center, and the Goodman Theatre in Chicago, Silent NO MORE comes to San Diego for the first time! Join us for an inspiring, emotional, and educational evening, as individuals with hearing loss share their powerful life stories. 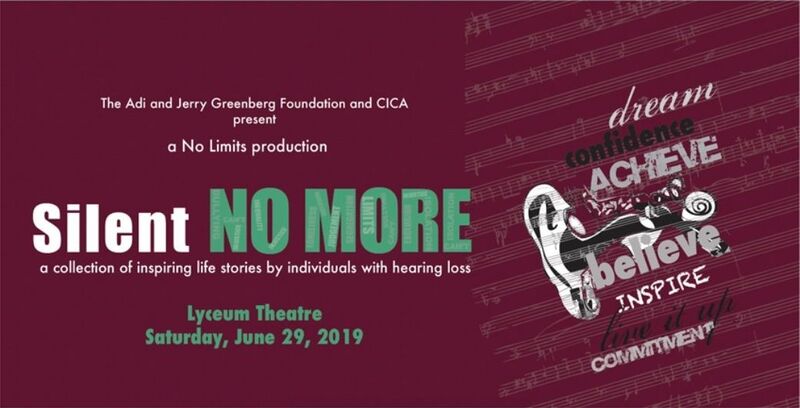 The original live theatrical performance is an intimate storytelling event comprised of witty, inspiring and raw stories of growing up with hearing loss, highlighting both the struggles and success of living in the modern world. The evening concludes with a Q&A with cast and audience members from the deafSign and deafSpeak communities; a discussion which will tackle head-on the debate between the Deaf community who sign and the deaf community who speaks with the purpose to bridge the gap between both worlds. ASL Interpreter and Live Captioning will be available.